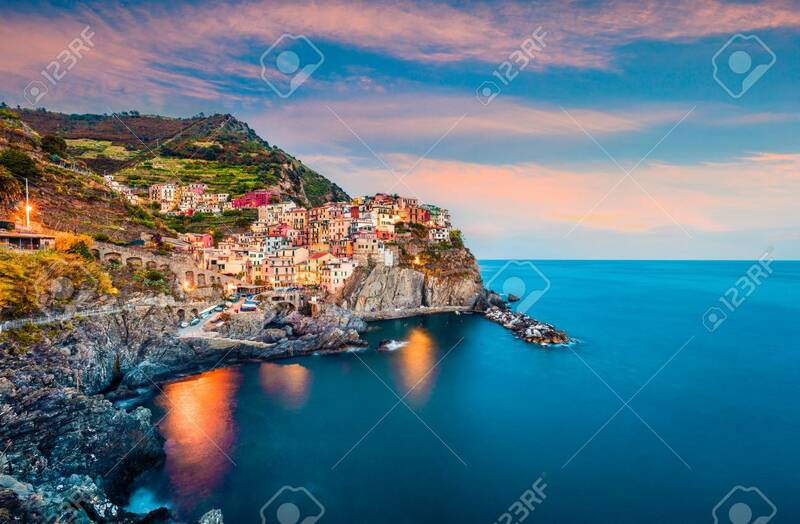 Second City Of The Cique Terre Sequence Of Hill Cities - Manarola. Colorful Spring Sunset In Liguria, Italy, Europe. Picturesqie Seascape Of Mediterranean Sea. Traveling Concept Background. Fotos, Retratos, Imágenes Y Fotografía De Archivo Libres De Derecho. Image 116551804. Foto de archivo - Second city of the Cique Terre sequence of hill cities - Manarola. Colorful spring sunset in Liguria, Italy, Europe. Picturesqie seascape of Mediterranean sea. Traveling concept background. Second city of the Cique Terre sequence of hill cities - Manarola. Colorful spring sunset in Liguria, Italy, Europe. Picturesqie seascape of Mediterranean sea. Traveling concept background.